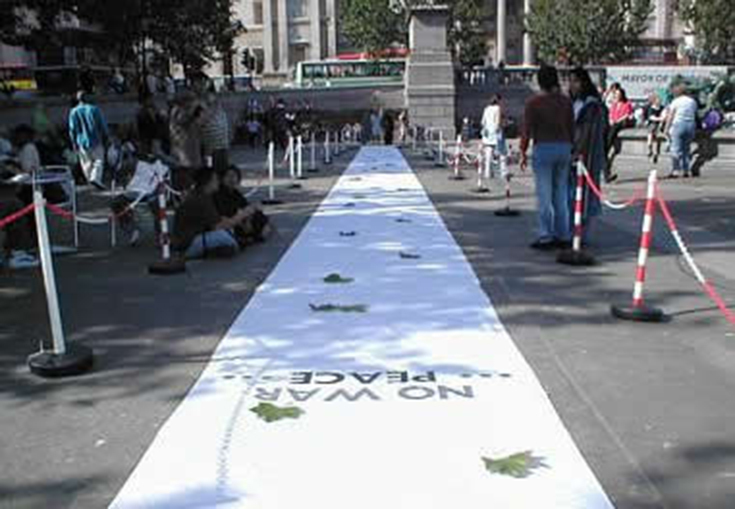 On Wednesday, August 14 at Trafalgar Square London UK, Abu Jafar installed a work 50 meters long and 1.5 meters wide containing letters, white fabric, and green leaves. The artist writes by email that "During this exhibition, London Authority ban Jafar as a Muslim artists not to use WAR & IRAQ in his art work at Trafalgar Sq, London UK. 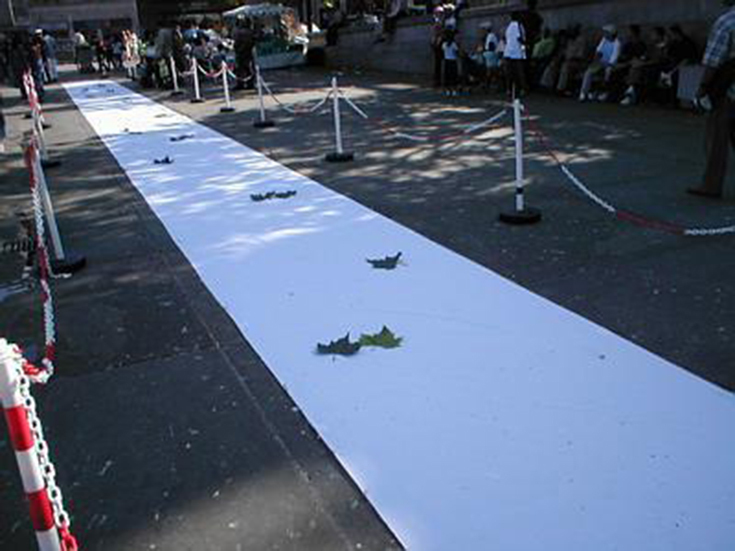 And only two hours for to hand out the information about the Installation to the public from 6pm -8pm even though this Installation take place for exhibition around 2pm." ... Peace! Peace!! Peace !!!"